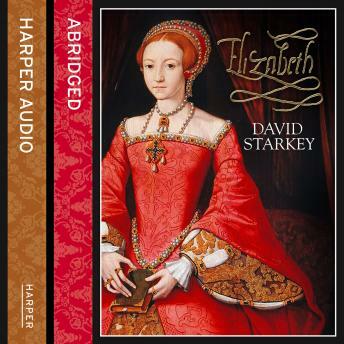 A brilliant and compelling account of the apprentice years of Elizabeth I.An abused child, yet confident of her destiny to reign, a woman in a man's world, passionately sexual yet - she said - a virgin, Elizabeth I was to be famed as England's most successful ruler. This absorbing new book, by concentrating on the early years from her birth in 1533 to her accession in 1558, shows how her experiences of danger and adventure formed her remarkable character and shaped her opinions and beliefs.For in her youth she had experienced every vicissitude of fortune and every extreme of condition. She had been Princess and inheritrix of England - then bastardized and disinherited. At sixteen she was the head of a great princely household. Not much later she was an accused traitor on the verge of execution in the Tower. Among all this, she had been taught the most advanced curriculum of the day. But it was her lessons in the school of life that mattered more - and that taught her humanity.Dr David Starkey recreates a host of extravagant characters, mad-cap schemes and tragic plots, while using original documents to point up the importance of the rituals of power and life at court. He writes with admirable clarity about religion and constitutional history. This brilliant book contrasts the daughters of Henry VIII: the pious Catholic Mary and her clever sister. The key to understanding Elizabeth is her determination not to make the same mistakes as Mary.